For any one that wonders where Santa goes after he delivers all those presents. 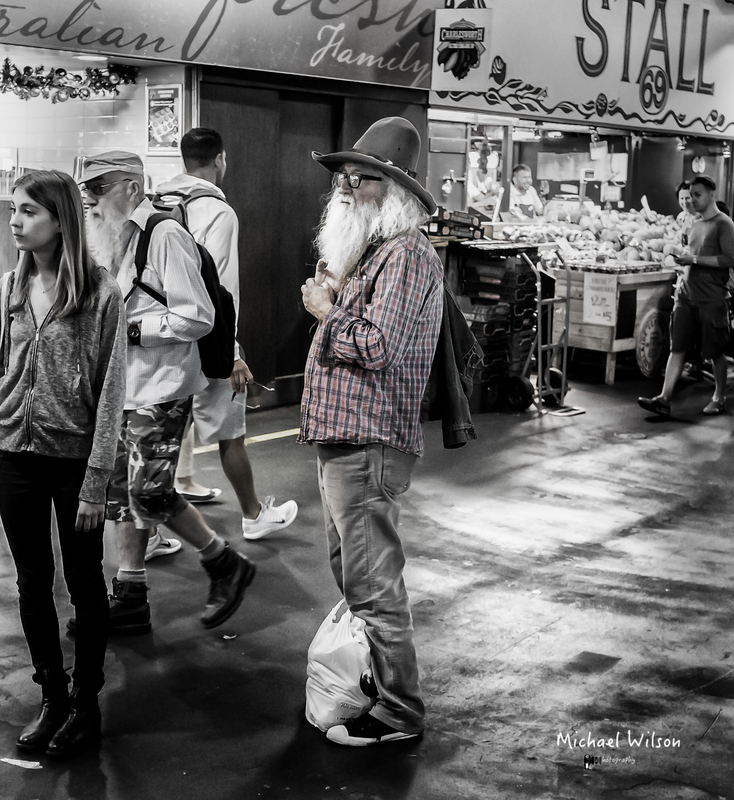 This entry was posted in Photography and tagged Adelaide, Adelaide Central Markets Street Scene, Adelaide Street Photography, black & white, Central Markets, City, Lightroom, Monochrome, People, Photography, Santa. Bookmark the permalink. Looks like he slimmed down a bit this year! Great shot! Oh, no! Now he’ll be overwhelmed by every child and their parents with camera in hand. I always wondered where he went! lol so that’s where he goes! to warmer climates! Nice photo! ahhhh good coffee down under? He’s in the off season now.